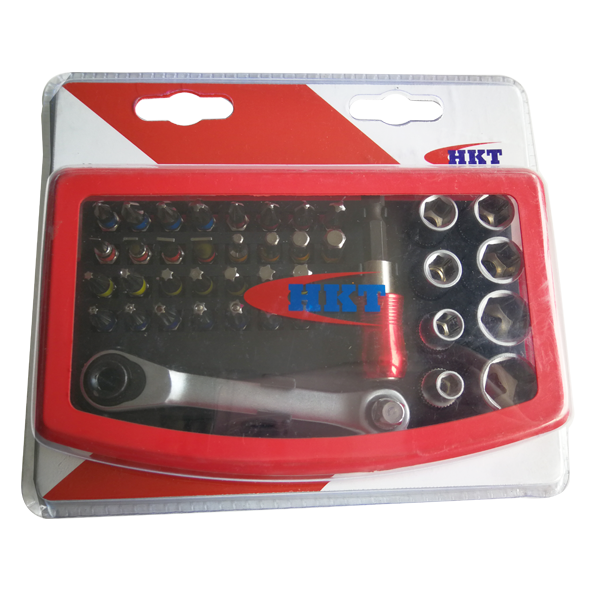 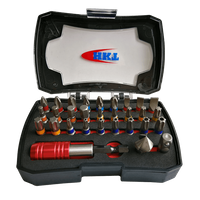 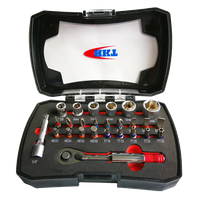 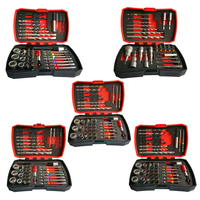 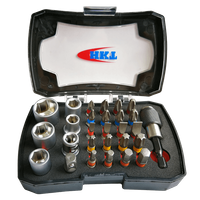 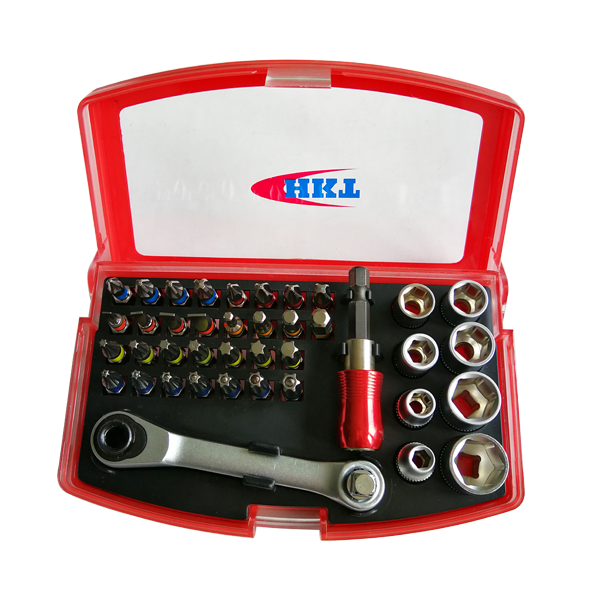 42Pcs Bits Set - Buy bits set, Ratchet Bits Set, bits set with sockets Product on Huikang Tools Co. Ltd.
• Injective plastic box with much transparent cover lid. 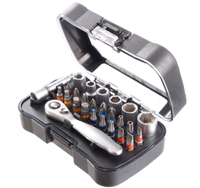 • With injective inlay for easy fixing, prevent accessories falling out. 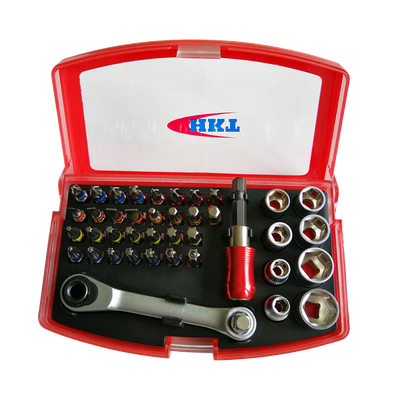 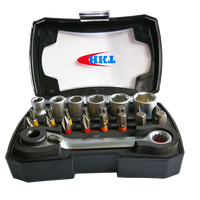 • Contains bits, bits holder, sockets, ratchet wrench and quick release bits holder. 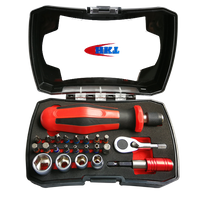 • Fastening use for both power tools and manual. 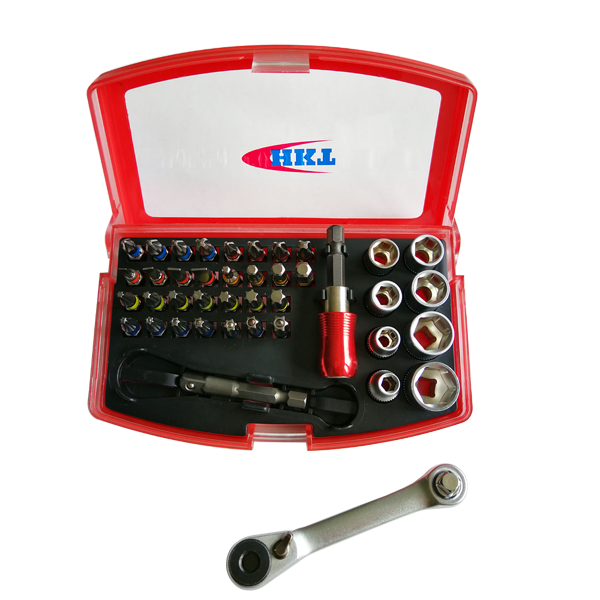 - 1pc Adaptor with ball: 18mm, hex 8.0mm x square 1/4"
- 8pcs 1/4"x25mm Socket: 50BV30. 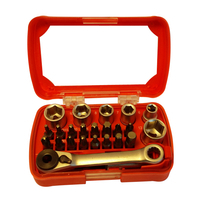 Satin Chrome plated.